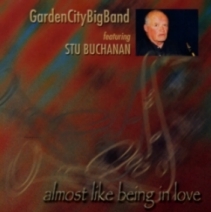 The music on this CD is a reflection of some of the finest Big Band charts and includes two works by local composers and arrangers. Thanks Bill is a tribute to the great Count Basie by Doug Caldwell, pianist, teacher and an icon in the New Zealand Jazz scene. And Yesterday’s Bread is a whimsical number by Stu Buchanan. The main recording was done in the Chapel of the Music Centre in Christchurch, New Zealand. Recorded by Peter Ratray and Tandem Recording. Produced by Iain Clark of Pan Promotions Ltd.